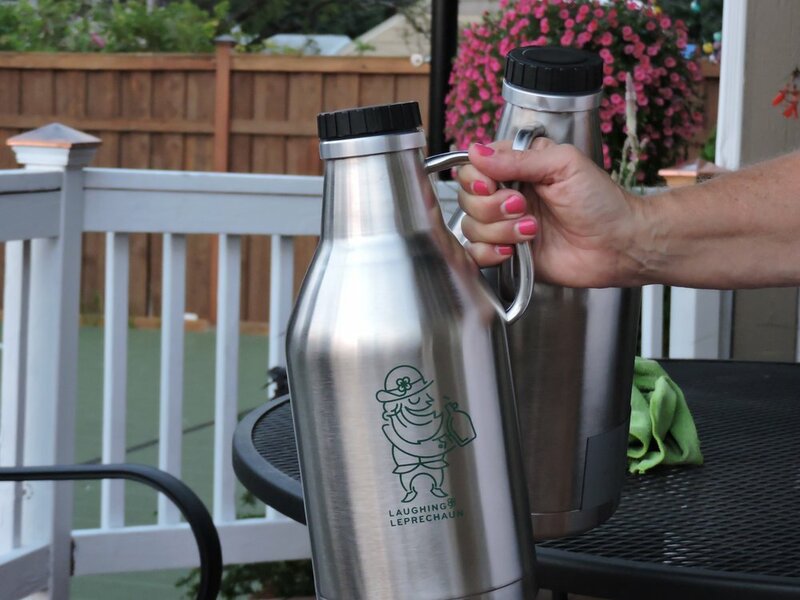 Beer Growler, Large Water Bottle by Laughing Leprechaun, Vacuum Insulated, Double Walled Stainless Steel Growlers Keep Beverages Cold or Hot Longer. No Condensation. Screw Down Leak Proof Lid. Treat Yourself Today! Food Grade 304 Stainless Steel is safe for any beverage; will not retain taste from previous fillings. Vacuum Insulation keeps beverage frosty cold for up to 20 hours; with no "sweating". Or if you prefer, it will keep your beverage hot but not your hands. Premium Double Wall stainless steel; makes for a sturdy container that will not crack if dropped. 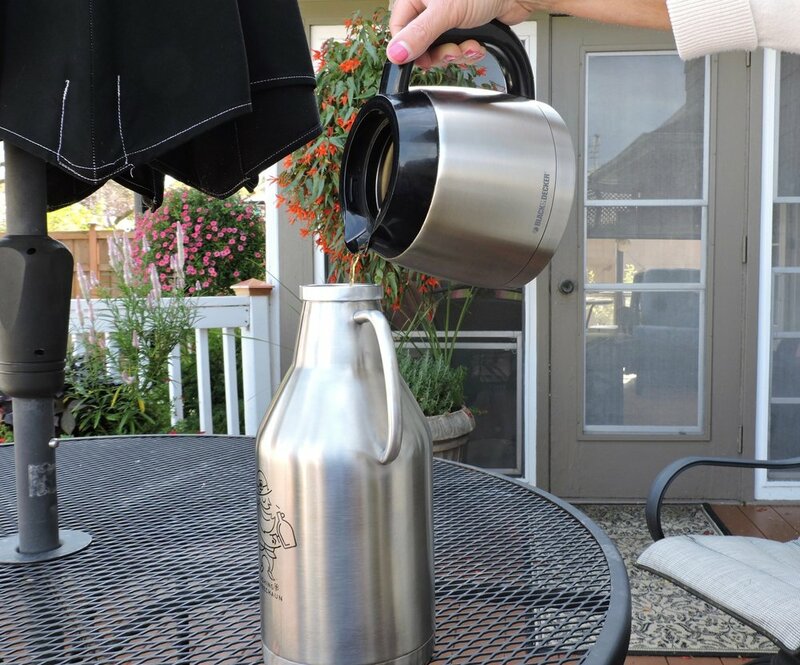 Welded on ergonomic handle makes it easy to carry and easy to pour. Free shipping and a money back guarantee on all products.